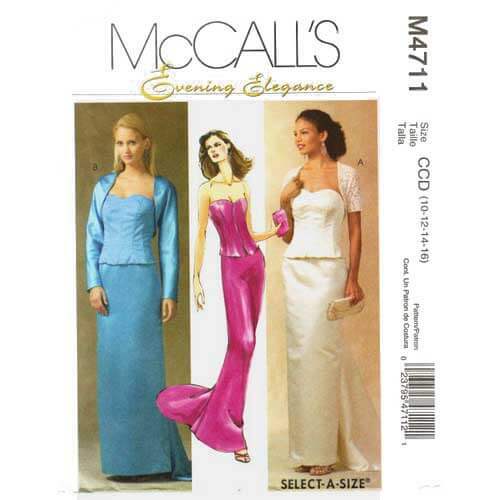 McCalls 4711 corset top and skirt evening gown pattern in sizes 10-12-14-16. 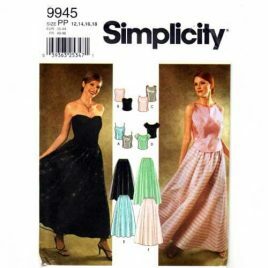 Shrug A or B has long or short sleeves, bustier has princess seams, back zipper and boning. Long length skirt has front and back darts, back zipper, godet and narrow waistband. 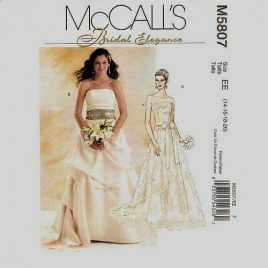 New Look 6468 princess style dress, top and pants pattern in sizes 6-16.